Home » testing » How Accurate is Food Allergy Testing by Blood vs Skin Prick? How Accurate is Food Allergy Testing by Blood vs Skin Prick? A great new allergy research paper came out in Jan 2014 comparing the accuracy of skin prick versus blood testing for food allergies. In summary, skin prick edges out blood testing in terms of accuracy, however mainly in terms of specificity. Sensitivity of both methods of testing is pretty comparable. However, blood testing tends to give more false-positives (test says you are allergic when you really aren't) compared to skin prick. 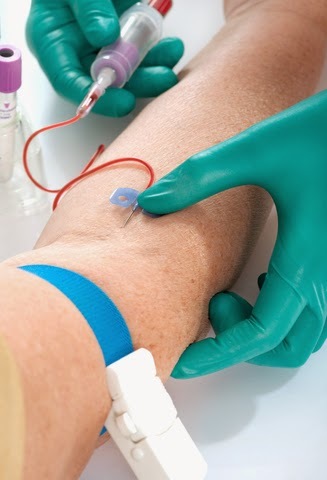 Blood testing may be more convenient and may provide a better guide to what one may be allergic to if you have no idea what possibly may have triggered an allergic reaction (one common scenario being having a reaction after eating at a Chinese all-you-can-eat buffet). However, skin prick testing should be done if you are suspicious but not positive that you may be allergic to a certain food. FYI... The BEST and MOST accurate food allergy testing is the oral food challenge... if you eat a certain food substance and you suffer an allergic reaction immediately afterwards, there's really no need for further testing as this type of "test" is the best and most accurate (oral food challenge). Remember, BOTH skin prick and blood testing do NOT provide 100% test accuracy. In any case, here's a table comparing both methods of food allergy testing for a few things. Basically, the closer to 100%, the better the test.